Once you have a list of all the different possible trading strategies, you are in the top 15%, because I can assure you, that at least 85% of aspiring traders are stuck in a very small world and do not know all the different paths and options that they can take. 85% of aspiring traders are trapped in a world of technical indicators, chart patterns, forex robots, conspiracy theories, etc. After you have your list of trading strategies, you need to eventually pick a strategy to study in depth. Or if you are unsure what strategy to study in depth, then you have to do some preliminary research about each strategy so you can get a better feel what each is about and what each entails. Research many, so you can find one or two that you want to study intensely. If you want, as you study each of them you can try to combine various strategies together. For example, if you want, you can try to combine Global Macro Trading with some form of technical analysis. Or you can just choose pure global macro trading with no chart input, or you can choose pure technical analysis without any input from global macro conditions. You don’t have to force yourself into one box. You can try to combine various strategies together if you want. It can lead to all sorts of exciting possibilities. I will give you more details about what possible steps you can take later on in this lesson for doing research on these topics. Even then, you won’t really know for sure what you are getting into because your beliefs change and evolve every year. Sometimes you just have to do a bit of research, pick a promising path to take, go through the process, modify and learn along the way, even have to change paths at some point and see where you end up. PTJ: I always wanted to be a millionaire, or a movie director. Interviewer: So you chose millionaire? PTJ: I don’t know if I chose millionaire, I ultimately got to that point. As another example, my definition of order flow trading was very different the day I discovered it, versus what I think of it today. I used to think it only encompassed stop hunting and option barriers, but in actuality, there are far larger principles in play which can lead you to global macro trading, etc. You are looking for people you can model. Who is your idol or idols going to be? Who is your mentor going to be? Who are you going to look up to? One of the reasons I wasn’t doing so well in trading in the beginning, was because I had the wrong idols. The moment I had the right idols, that literally solved hundreds if not thousands of little trading problems I was having. I was able to lift so much dead weight off my shoulders and breathe the fresh air and smell trading opportunity. This is a problem that many traders have, especially if their only or primary source of information is from the trading forums: They have the wrong idols and wrong mentors. There are of course thousands of different reasons why people fail. But one of the big ones is that most people have got the wrong idol. They have the wrong hero to model after. The first strategy and way to find someone to model is to see how much money they made. Search for the richest traders in the world. I wouldn’t automatically be awed by someone’s fortune, although that is a decent indicator. So find the richest traders – the billionaires or people who have made hundreds of millions of dollars. The second way is to find the less known people. You don’t always have to search for the richest people or richest traders in the world. There are plenty of people to have only made one million dollars or multi millions from the market that you can do research on. Many of them can give interviews in various magazines, etc. They are less known, but that doesn’t automatically mean they don’t know what they are talking about. 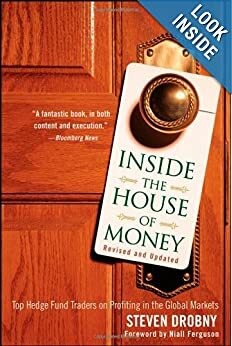 Sometimes, someone may have amazing information, and they make let’s say $1 million dollars from it, but that information has the potential to make much more, but a person may not desire to do any more with it. Perhaps they choose to relax or go on vacation and not try to work too hard. Or they just don’t know how to take that information to the next level. So you can take that information and still profit from it because no one can fully extract all the profits from every market idea. The general rule is that money, while it is not the only scorecard, it can be an important scorecard to evaluate your hero. At the same time, don’t automatically go model yourself and be awed by someone who made $1 million or $200 million dollars last year. They may use a strategy and do work that you may not be passionate about and have no interest in. Be careful about solely using fame or fortune to tell you who to model after or be friends with. Far too many people are easily intimidated by such things. I will say that if you are in awe of, and attempting to model yourself after some forum guru, or some profile of some trader you found on a social forex website that shows they made 200% in a month, etc, then those are probably the wrong places to look for heroes to model yourself after. The key in life is to figure out who to be the batboy for. If you choose the wrong heroes, the wrong idols/mentors, or the wrong person to be the batboy for, then you can cause yourself a lot of frustration. It can cause months, years, or decades of frustration. For example, if you choose to master Global Macro Trading, find out the best of today and the past. Get a list. 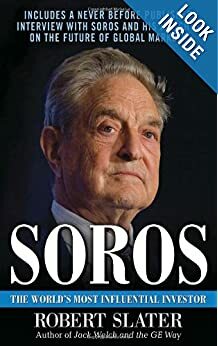 George Soros, Paul Tudor Jones, Bruce Kovner, etc, etc. If you choose Value investing, find out who the best value investors of today and the past. Warren Buffett, Charlie Munger, Benjamin Graham, etc. If you choose technical indicators, chart patterns, price patterns, etc then find the best. Search the Market Wizards books, browse the search engine for traders of the past, etc. Step #2 -Gather the books and articles about the particular strategy or person you are trying to study. Find books on Amazon about the particular strategy or person you want to learn about. 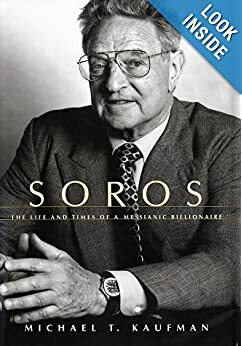 If you like Global Macro Trading, buy a biography on George Soros. 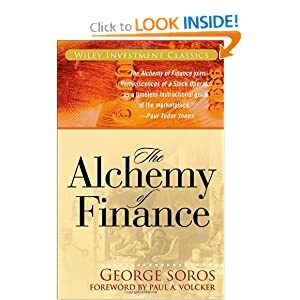 Buy his book, The Alchemy of Finance. 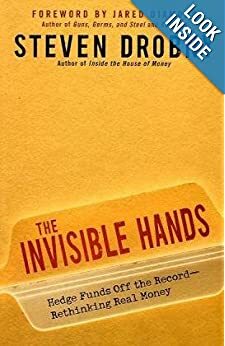 Other books to consider are: Inside the House of Money, The Invisible Hands. If you like Quantitative Trading, then find half a dozen or a dozen good books on the subject. I have to admit that I don’t know what goes into a good quantitative trading book, so I will refrain from recommended any. Not only do you want to find books, but also search for good articles. You have to search and be open to new information. Being closed minded and not open to new information can lead to much suffering. While there can be some suffering in attempting to learn and interpret new information, the pain of regret of not succeeding and not giving it your all can be much more. I once met someone who wasn’t doing too well and wanted to give this person a book to help him. Since I have some skills in deciphering market conditions and sensitivity, I can apply those skills to analyzing people as well. I knew just the right book to give to this person to help him out in life. The only problem was that he didn’t want the book I was going to give him. He didn’t want ANY book. He didn’t even look at the book I was going to give him. Automatically, his programmed answer was “No.” It turns out, the only book he said he needed was The Bible! I can partially understand. The Bible is a great book and remarkable in its philosophy, etc, but you can’t live just reading The Bible. You have to be more open minded than that. I wonder what this person thinks about doctors and lawyers and accountants, and other professions in society that have to get information and learn from somewhere. Can society function if the only book people read was The Bible? Obviously not, but this person didn’t get it. He was browsing the internet on his smartphone probably checking on sports news, etc. This is why, it is important to think of many things in life as just information. Any book or article you read, TV program you watch, conversation you have, anything you experience, etc, it’s all just information. It is non threatening. Each up-tic, down-tic, or pattern is just information. The market is neutral, in the sense that it moves and generates information about itself. Movement and information provide each of us with the opportunity to do something, but that’s all! When you learn the trading skill of acceptance, the market will not be able to generate information that you define or interpret as painful. If the information the market generates doesn’t have the potential to cause you emotional pain, there’s nothing to avoid. It is just information, telling you what the possibilities are. This also reminds me of something else: Just like there is junk food and good food, there is also junk information and good information. Just like some people feed their body junk foods. There are also some people that feed their mind junk information. You put junk in, you get junk out. The people who put junk in their minds, they get junk beliefs, philosophies about the markets, etc. Where do you go for your intellectual feast? Pity the man who has a favorite restaurant but not a favorite author. He’s picked out a favorite place to feed his body, but he doesn’t have a favorite place to feed his mind! Whatever strategy you choose to pursue, then go find historical trade examples. If you are trying to be a technical analyst with chart patterns and candlesticks, then go find the best trades of the past that people have placed using that analysis. Find the greatest historical trades of such nature. Or if you can’t find trades that other people have placed, search for trades you could have placed in the past. Since you are trying to be a technical analyst, special emphasis will be placed on finding the charts associated with these trades, since the charts generate the signals you are looking for. If you are trying to learn global macro trading, then find the greatest historical global macro trades that people have placed. Or find great global macro trades you could have placed. Since you are trying to be a global macro trader, the chart is of less importance, and instead, special importance is placed on the information that exists outside of the chart. There are some strategies that don’t lend well to this. For example, if you are scalper or market maker, then most of your profit during the year doesn’t come from a few big trades, but rather many, many small trades. If you do decide on learning some Order Flow, News Trading, and Global Macro trading, then send an email to support@orderflowforex.com , and I will send you a link with more information about the Order Flow Mastery Course.